New images: The spire at Notre Dame before it fell. Part of the iconic spire on the roof of Notre Dame Cathedral collapsed during a massive fire Monday. WATCH -- Twitter user @H-Miser captured the heartbreaking moment Notre Dame's iconic spire fell in Paris. The Notre Dame spire, which fell a few moments ago, was originally constructed in the 13th century then replaced in the 19th century. The newer version was made of oak (!!!!) covered with lead. Reconstruction of the Notre Dame Cathedral in Paris will probably take decades and cost hundreds of millions of euros. 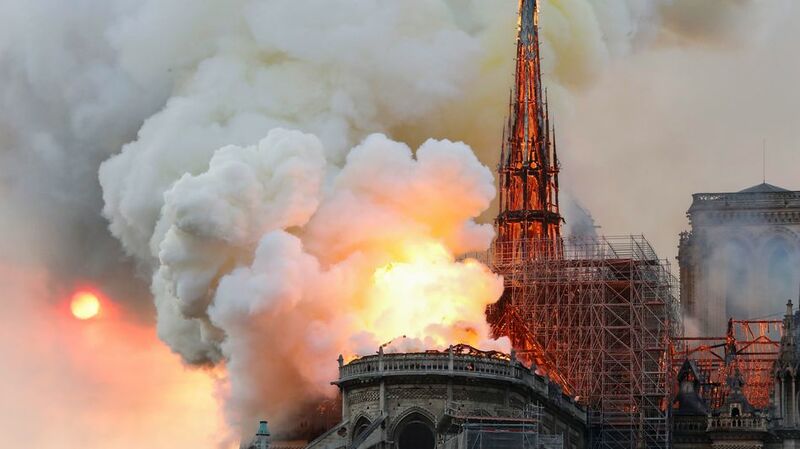 The spire that fell amid the flames was due to be repaired and 16 statues that surrounded it had already been removed last week. Observers gasped as the spire fell. Sending love to the people for whom Notre Dame has been a place of grace. My heart breaks as the spire fell- especially this Holy Week. Death, destruction and weeping of Good Friday must not be the last word. Love must rise. 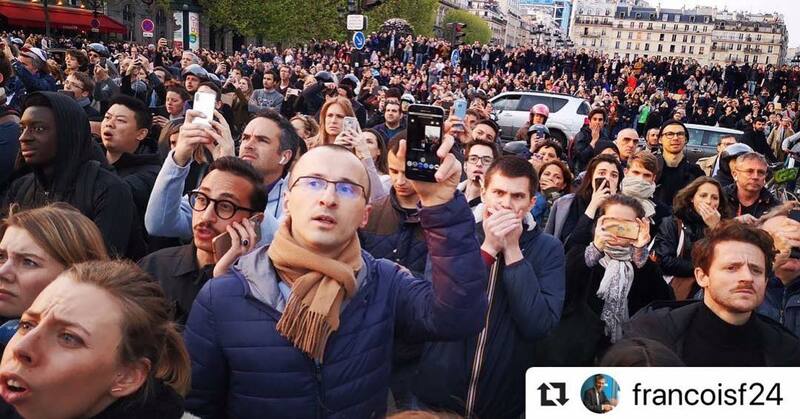 AFP's @patrickgaley on the phone right now, on the banks of the Seine: "The quiet shock of disbelief." Describes the moment the spire fell. "Notre Dame has survived everything #Paris has every been through."